In preparation for Hurricane Irma, the team at the University of Miami Experimental Fish Hatchery successfully transported valuable research fish into the world’s largest hurricane simulator – SUSTAIN (SUrge-STructure-Atmosphere INteraction Facility) – at the University of Miami Rosenstiel School of Marine and Atmospheric Science. 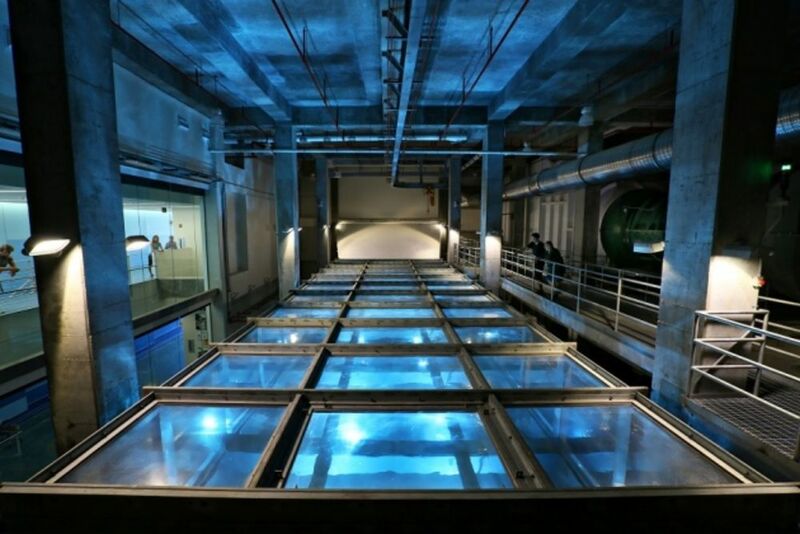 SUSTAIN’s tank can house nearly 40,000 gallons of water and generate the force of an intense Category 5 hurricane. Researchers use it to study wind, wave, and storm surge of tropical cyclones to understand what happens during landfall and how to better prepare for them. Dr. Dan Benetti, Director of Aquaculture at the University of Miami and co-PI on RECOVER, explains the importance of saving particular fish from the outdoor hatchery facility. Thanks to the team’s quick thinking they were able to save many valuable fish including cobia, hogfish, and endangered Nassau grouper. Unlike the cobia broodstock that were transported, broodstock mahi-mahi like those used for RECOVER research, had to be left at the hatchery facility. Our team’s success with capturing wild fish off Miami as well as their extraordinarily fast growth rates mean they repopulate quickly if necessary. Surprisingly, however, many of these mahi-mahi survived the ordeal and the team is working hard to repair damages and get production back on schedule. Ironically, the safest place for many of these important fish during a hurricane was in a machine that creates hurricanes.